This was an extra credit assignment for a class in which we had to make a game by ourselves to receive points. 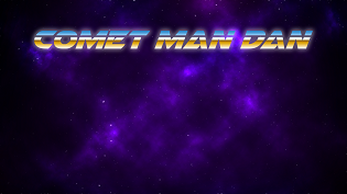 The game I made is Comet Man Dan, a side scrolling shooter in space in which you play as Dan, an american astronaut who lost his cat in space during a mission. Survive and find your cat to complete the experience! This is more of a prototype for what I'd like to develop further, enjoy! Just download and run the .exe! Controls are arrow keys to move and spacebar to shoot.